Singapore, 19 March 2013 – Ecosystem is a new collaborative and coworking space for the environment, and is a joint initiative by Green Future Solutions and SHFT. Ecosystem emulates nature’s ecological system and nurtures the development of symbiotic relationships among individuals, businesses and organisations in the environmental sector. It is an eco-friendly space that allows the green community to foster greater interaction and collaboration. Ecosystem has attracted several Partners who would collaborate with and help the community, including Green Drinks Singapore; LOHAS Asia; Green Prints; Kampung Temasek; ToGather.Asia; Ideas.inc; Handmade Movement Singapore; JUJUBE, Eco Hub Asia, and EDU Outdoor Activities. 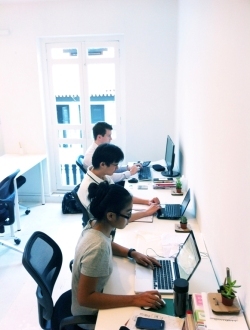 With the rise of coworking office space in Singapore, Ecosystem is unique in being the first eco-friendly coworking space in Singapore targeting entrepreneurs, startups and organisations in the environmental sector or those who subscribe to green principles. The services provided by Ecosystem include coworking office space, a craft workshop, and a crowdfunding platform. Ecosystem offers its coworking members affordable shared office space, including permanent desks and hotdesks, and access to wifi, utilities, and a common pantry and meeting room. The current members of Ecosystem include: Bamboobee, TheDigitalCube, and Faculty Group. Ecosystem is also building a workshop called Craft Guild for the craft and DIY community to meet and prototype craft ideas with access to shared equipment and tools. In addition, Ecosystem is partnering with ToGather.Asia to offer a crowdfunding platform for its members to source for funds from the public in support of their project or business. In order to grow the green community, Ecosystem will be organising regular talks and workshops for its members and interested parties to learn more about environmental issues and solutions, and connect with each other to explore business or partnership opportunities. The first event hosted on 23 March at Ecosystem is a Craft Party Sewing workshop organised by the Handmade Movement Singapore. As part of Earth Day on 22 April, Ecosystem is also hosting a talk on Collaborative Consumption, with 2 startups sharing on peer-to-peer renting of items and carsharing. 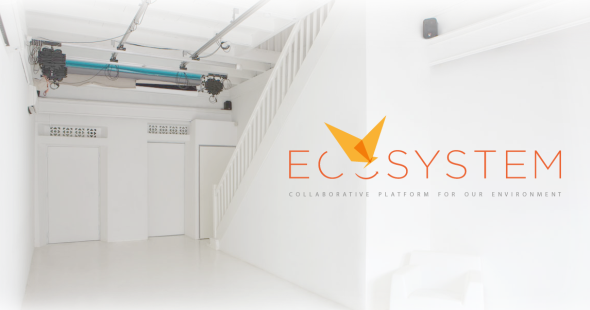 Ecosystem aims to nurture an environmentally conscious community and commit to take the lead in being a sustainable coworking space in Singapore. It has published The Little Green Book, a guide for staff and members, which describes its environmental policy, and serves to educate and encourage everyone to adopt environmental practices. In its environmental policy, Ecosystem will reduce its environmental impact by using energy and water resources efficiently, and minimising and recycling waste. It would purchase environmentally friendly products wherever possible, and encourage the adoption of environmental practices. For more details on Ecosystem, visit http://www.ecosystem.sg/ or check out the Facebook page at http://www.facebook.com/ecosystemsg/. 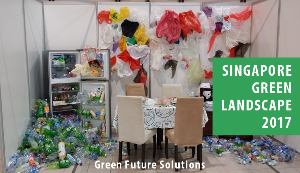 Green Future Solutions is a sustainability consulting company that helps businesses and organisations address environmental challenges and identify green opportunities. For more information, visit http://www.greenfuture.sg/. SHFT is a social innovation company that designs and develops eco-programmes which aim to improve our society and environment by involving community, design and technology.